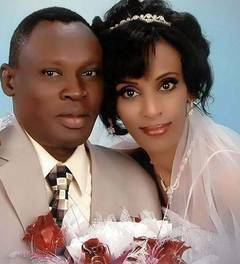 Today, 27 year old Meriam Ibrahim, a Sudanese woman sentenced to death for apostasy, has given birth to a baby girl in the Khartoum prison where she is being held with her 20-month-old son. Amnesty International said the condition of the mother and baby was not known as Ibrahim’s lawyer and her husband, a US citizen, had been denied access to her. The Sudanese authorities have said they will defer Ibrahim’s death sentence for two years to allow her to nurse her newborn baby reports the Guardian. Globally, more than 700,000 people had backed Amnesty’s call for Ibrahim’s release by noon on Tuesday, including 113,500 in the UK. The call aims to reach 120,000 supporters. To take action please read our post „STOP EXECUTION OF MOTHER IN SUDAN“ below in out ENGAGE section.